This summer, Maybelline brings us their Baby Lips Electro Moisturizing Lip Balms. The lineup consists of six new tinted Baby Lips lip balms, all in electrifying neon shades. The lip balms are infused with Shea butter and Vitamin E, two key ingredients known for their moisturizing abilities. While browsing the Baby Lips Electro display over at a nearby Duane Reade a few weeks ago, I decided to pick up the shade "Strike A Rose". Although all the shades were tempting, I just couldn't resist Strike A Rose's lovey rosy pink/coral hue. 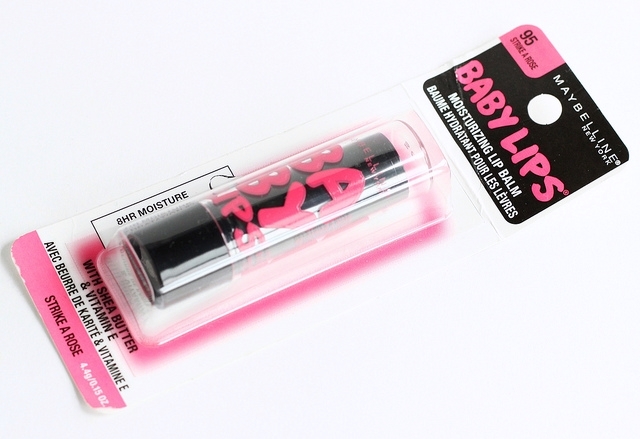 The Baby Lips Electro tube packaging is undeniably cute. The neon pink lettering on the cap contrasts against the black swivel up/down base, beautifully. This lip balm contains an artificial fruity fragrance, which isn't super bothersome to me. But those with sensitive noses may find the scent to be a little overwhelming. Just something to keep in mind. Strike A Rose doesn't skimp on color because it imparts a very pretty pink tint to my lips, along with a healthy and natural looking sheen. 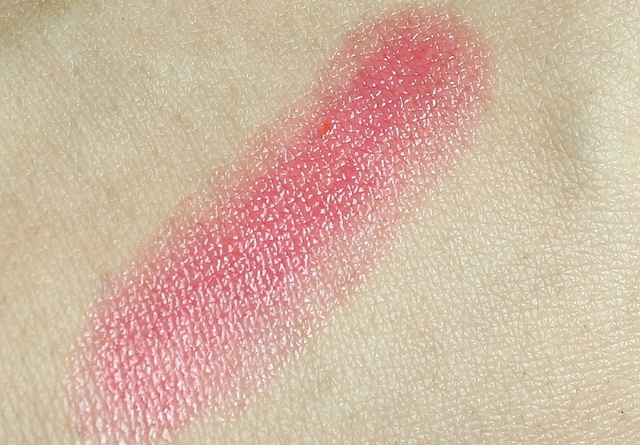 Because of it's smooth and creamy texture, this lip balm goes on effortlessly, and the color builds up very nicely. As for wear time, it's not until 2-3 hours in, before the tint fades. This time frame is average for me, when it comes to the longevity of lip balms. Although my lips do feel smoother and more moisturized right after application, I don't find the moisturizing effect to be very long lasting. The moisturizing feel lasts a couple of hours at best for me, not the 8 hours that this product claims. Overall: If you are looking for an inexpensive lip balm that offers light hydration, I think Maybelline's Baby Lips Lip Balms are worth checking out. My lips are usually prone to dryness, so I tend to need something a bit stronger in the hydrating department more often than not. But, even though I don't find these to be superbly moisturizing for my lips, I still find myself enjoying Maybelline's Baby Lips lip balms. I have accumulated a couple of them now and I just love their smooth consistency, affordability, and their easy wearing no fuss quality. For those days when my lips are going through a non-drying and decent phase, I have no problem reaching for Maybelline's Baby Lips. 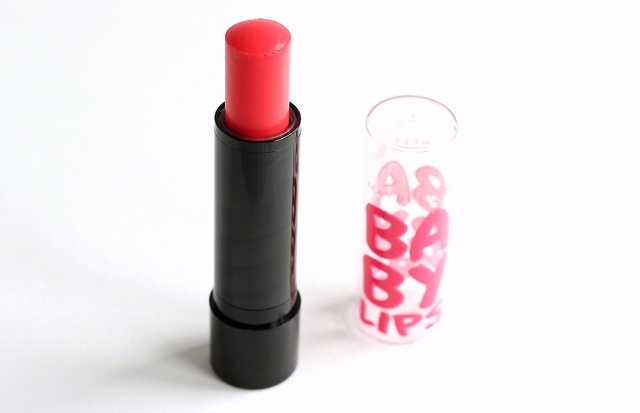 What do you all think of Maybelline's Baby Lips Electro Lip Balm in Strike A Rose? Which are your favorite lip balms? I've seen a few others from the Electro line but this colour is the one I'm really searching for. The hunt continues lol. Glad you liked it! I want to pick up some more. soon. I hope you find this particular shade soon, Charlene!